Those who played Life is Strange know that this was a beautiful adventure game about teenage friends Max Caulfield and Chloe Price, and surely one of the top video games to see a release in 2015. Actually, game makers Dontnod Entertainment recently released a video stating the original game reached millions of players, which is quite a feat for a completely new video game IP. In this video, Luc Baghadoust, Raoul Barbet and Michael Koch of Dontnod also reveal that a new Life is Strange game is in the works, which is something that makes perfect sense taking into account how popular the original game was back in 2015. Actually, since its episodic release last year, many players have been clamouring for a sequel, which thankfully will now become a reality. Dontnod has nothing to show of the game at this stage though, and also made it clear in a blog post that this game won’t be at this year’s E3 show taking place this June. Also, we must bear in mind that Dontnod is still busy working on Vampyr, its upcoming vampire game set in early 20th century London which is slated for release sometime this year. So Life is Strange 2 could still be a long ways off then, and we also don’t know whether this new game will retain the episodic structure of its predecessor. 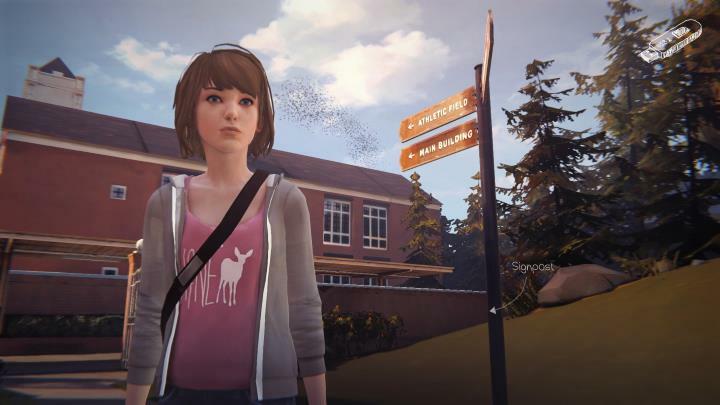 Although art director Michael Koch did suggest back in 2015 that another Life is Strange game would likely be released in episodes too, telling Polygon that the episodic format is “a strong way to create a strong story to write the characters and to have good pacing and good control over the flow of the game. It can really pull the community together when the player can talk about the game together, making stories”. Also this will likely be a fresh start too, as Koch also said in that interview that “we can really go with other characters, other locations, but still keep the identity of the game, the themes of the game”. But regardless of whether Life is Strange 2 brings back old characters or not, or is released episodically, the fact it’s happening will be great news for all those who loved the original back in 2015, and who will surely be waiting with bated breath for the sequel’s release.